But now, thanks to SampleRadar, you can bring them back. This collection includes all kinds of 'unwanted' sounds that can be used to add character to your productions. The noise, hiss and crackle samples are divided into eight folders, each of which is labelled to describe the type of sounds that it contains. 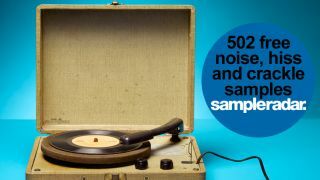 The noise, hiss and crackle samples samples are supplied in a zip file, so you'll need to extract them before you can see them. Enjoy!